Microsoft has just announced and made available for download Visual Studio for Mac preview. Here’s everything you need to know about this release. 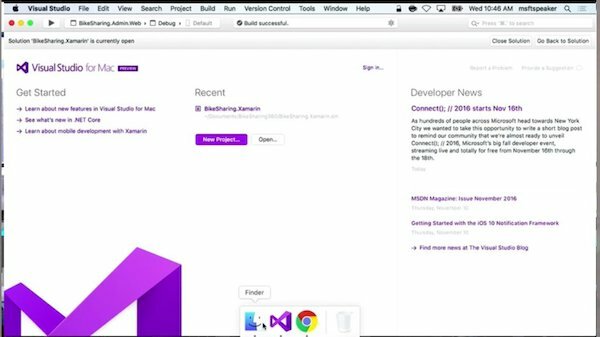 As part of its announcements during today’s Connect() developer event, Microsoft has officially introduced Visual Studio for Mac. Based on Xamarin Studio, the platform was announced ahead of time earlier in the week when a blog post on the topic was inadvertently published, and then later removed by Microsoft admins. 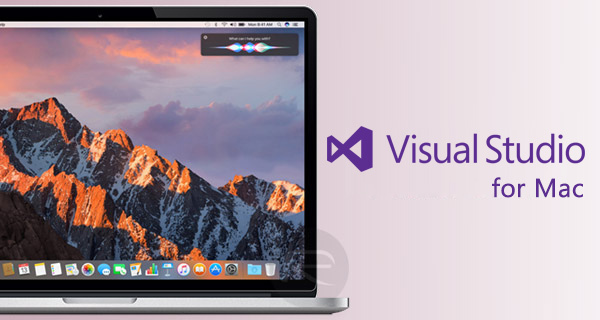 Now that the time is right, and in front of the right people at Connect(), Microsoft has made Visual Studio for Mac official. We may have known about Visual Studio for Mac in an unofficial capacity for a number of days now, but now that it is official, let the size and scale of what Microsoft has just announced sink in for a while. This isn’t a case of the company simply releasing another platform or Mac app. This is Microsoft making the conscious decision – either out of desire or necessity – to bring its flagship developer tool, and one that probably kept a lot of users on the Windows platform, to Apple’s Mac environment. This isn’t an entirely “from scratch” development. Microsoft has used the hard-work already completed by Xamarin to put itself in a better position to get Visual Studio for Mac to market at an accelerated pace. With Microsoft acquiring Xamarin earlier in the year, it put the company in the perfect footing to use that foundation to produce something that would truly appeal to developers. And although the company’s new integrated development environment is based predominantly on that Xamarin Studio, the design, visuals and overall experience is derived from, and inspired by, Visual Studio for Windows. Anyone looking to use Visual Studio for Mac can expect to benefit from the honed cross-platform tools that you would expect from something built on top of Xamarin Studio. There’s also the fact that this particular version, like its Windows counterpart, still ships with IntelliSense and code refactoring via the Roslyn Compiler Platform, which in essence means that Visual Studio for Mac can be used to develop application experiences for iOS, Android, Windows, and, of course, macOS. Anyone interested in doing some serious development on macOS via Visual Studio, or who would just like to see how well Microsoft actually did in bringing this experience to macOS, can download the initial Visual Studio for Mac Preview right now from here. It will install Windows 10 without users consent.